The only reverse theatre remaining in America today"
They put me RIGHT to sleep! Thanx, Beez! I needed that! The old and the new in rock-and-roll will meet in "Sight Unseen," a show of live music and film coming to the Darress Theater in Boonton on Saturday (9/25). 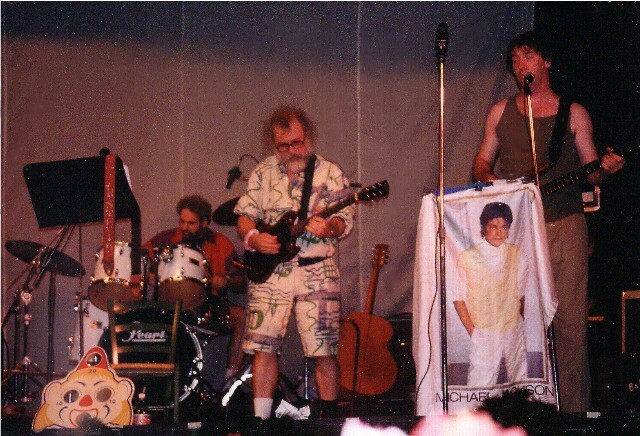 R. Stevie Moore of Bloomfield is to perform his mixture of new wave, punk and 60's garage sound with a little country from his native Nashville. Mr. Moore, who has been recording for 30 years, has just released a new CD, "The Future Is Worse Than The Past," on the German Label Megaphon/Pink Lemon. The concert will be Mr. Moore's first performance with a new band he has put together. It will also be the first performance for the other band on the program: Nova Social, formerly known as Stretch, which organized the concert. The band, with two members from Wayne and Nutley and a third from New York City, plays an eclectic mix of pop and rock. The performance, which will include a montage of film images, is to be preceded by a showing of "Don't Look Back," D.A. Pennebaker's classic 1967 documentary on Bob Dylan's British tour. "Don't Look Back" goes on at 7 p.m., followed by live music at 8:30. Information: (973) 334-9292 or www.darress.org.